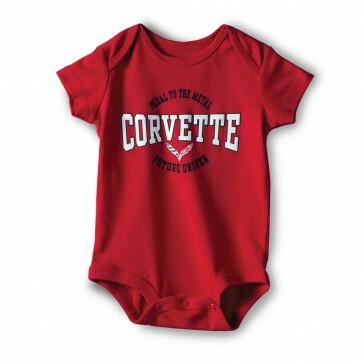 Add this C7 Corvette onesie to your baby's wardrobe. Printed Corvette and the C7 crossed flags, and "Pedal To The Metal Future Driver". Very cute! 100% combed ringspun cotton. Imported.